Heard about Meltdown and Spectre, two severe hardware bugs that affect billions of devices? 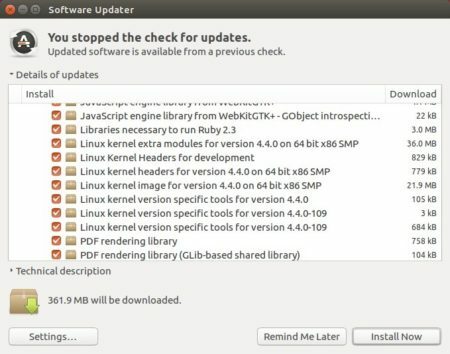 Besides updating the Ubuntu Kernel via “Software Updater”, Intel has released an update processor microcode patch for Linux based operating systems to address the security vulnerabilities. The patch has been made into Ubuntu repository. So FOLLOWING STEPS IS NOT REQUIRED any more! Just update your system via Software Updater. 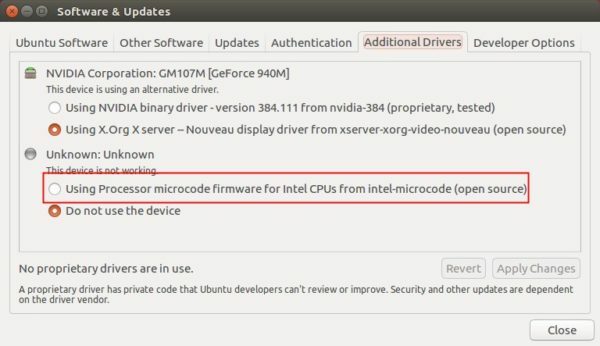 Then launch Software & Updates -> Additional Drivers, and mark the line “Using Processor microcode firmware for Intel CPUs from intel-microcode” for installation if it’s not used. Extract the file and you’ll get a new file folder with microcode.dat and intel-ucode directory. Finally you need to reboot your machine to apply changes.